Standard ATM formats for aeronautical, weather and flight data (AIXM, WXXM & FIXM) are becoming intensively used across all boundaries in the worldwide aviation data exchange process. In an operational context, data validation is essential as the precondition for safety, security and efficiency of operations. Our award winning Aeronautical Data Validation Platform performs syntactic and semantic validation of aviation data to ensure aeronautical data quality. The validation results are available either in the web client or through the flexible API. It can test the conformance to SWIM compatible aviation data formats but also evaluate more complex, semantic Business Rules beyond the structural correctness. Business rules are complex dependencies and domain specific requirements that must be satisfied by AIXM datasets. These rules cannot be expressed using XML Schema (XSD), but are encoded using the Schematron language and custom XPath function. The validator uses Schematron rules based on the rule set from the EUROCONTROL Business Rules community project. The platform also allows users to create and manage their own domain specific rule sets. The validation results are available either in the validation web client or through the flexible REST API as structured result sets or as annotations, embedded in the input document. Data validation is a cross cutting concern which affects many aviation workflows. Our validation platform contributes to the quality of aviation data by identifying and solving problems, which might occur when inaccurate, wrong formatted or syntactical or semantic incorrect information is consumed or provided by operational ATM services. In the context of data exchange, this service is the only guarantee that the data exchanged between regional SWIM domains remains correctly assessed and interpreted. 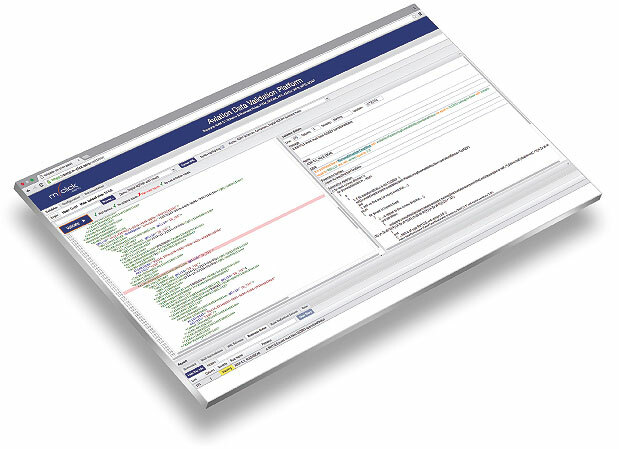 The Aeronautical Data Validation Platform is available both as cloud-based service and on-premise software. 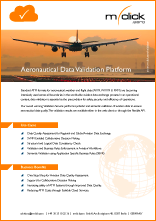 Download the Aeronautical Data Validation Platform brochure in PDF format.